USA Today has given us a look at Hasbro’s new Star Wars Bladebuilders line. 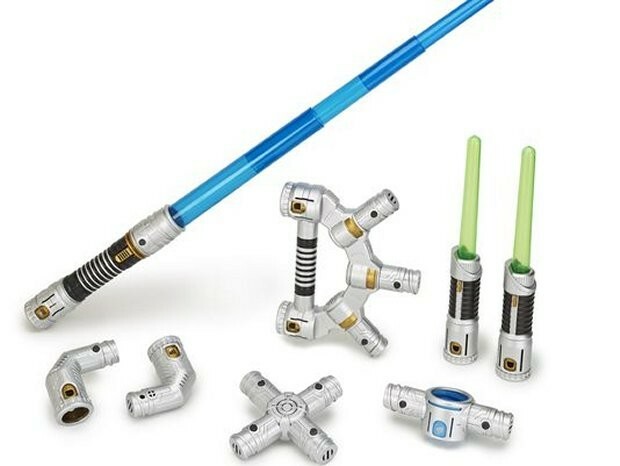 Kids are going to love these toys, since it lets them create their own unique (and wacky) lightsabers. This toy line will launch this fall, with a line of compatible hilts, connectors and other lightsaber bits and baubles so your child can wield a killer weapon. And break all of your fine china. 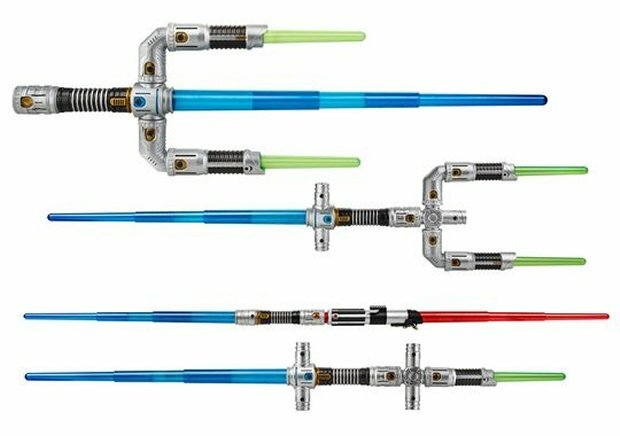 The main Jedi Master Lightsaber set is $49.99(USD) and includes a lightsaber with lights and electronic sounds, two lightdaggers, an expansion hilt and some connectors. After they get that set, they can mix and match from three other sets that have various connectors and blades from different characters. 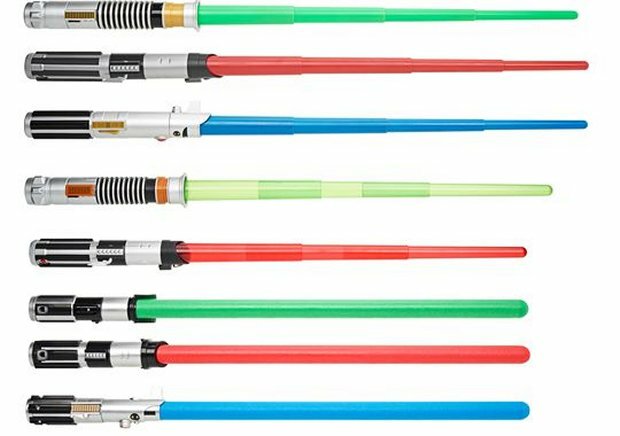 The electronic lightsaber is $19.99(USD) and comes in Obi-Wan Kenobi, Darth Vader and Luke Skywalker versions. The foam lightsaber is $14.99(USD) with Yoda, Vader and Luke variants, and the extend lightsaber is $9.99(USD) with Luke, Vader and Anakin.